Pixar Animation Studios made a large splash at the summer box office on May 30, 2003 with Finding Nemo. Directed by Andrew Stanton and Co-Director Lee Unkrich, Finding Nemo won an Oscar, thirty-four other awards, and thirty-five nominations; also, the film was ranked in the top ten American Film Institute’s list of the ten greatest films in the genre “Animation” in June 2008. With all of the movie’s accomplishments, how could one not see this joyful movie? This film also stars Albert Brooks, Ellen DeGeneres, and Alexander Gould (Finding Nemo). 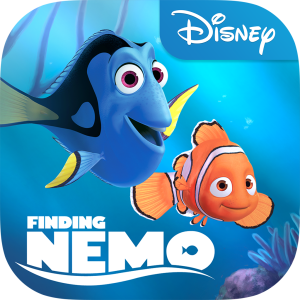 Finding Nemo is a tale of an adventurous young clownfish, Nemo, who ends up in an aquarium. In search to find his son, Marlin finds Dory, and the two of them encounter adventures and reunite with Nemo. Finding Nemo is a remarkable movie due to the enlightening theme, meticulous and glorious animation, and a well-played cast. The theme of Finding Nemo forms through a father-son love story. Several components of the story help interpret the message of the film. One major element is the concern about Nemo’s short fin, a deformity that keeps Marlin worried. Stanton states: “[Nemo’s disability is] a metaphor for anything you worry is insufficient or hasn’t formed yet in your child” (Corliss). Parents become worried about a handicap in their child and think that the disability is a corrupt view of the parent. 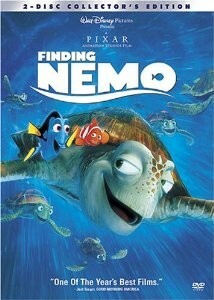 This movie can teach parents that there is no perfect father or child, like Marlin and Nemo. On Marlin’s journey, Marlin is set on finding his son when divers take Nemo; on his journey he meets the unforgettable Crush who is the complete opposite of Marlin, relaxed with parenting. Corliss explains, “When Marlin asks the sea turtle Crush how a father knows when his kids are ready to swim out on their own, the wise dude replies, ‘Well, you never really know. But when they know, you know- y’know?'”(Corliss). Parents can relate to Crush and Nemo’s devoted dad that children need to grow up and discover the world. The message of the movie is important for parents; the message is about letting go and getting back. According to Corliss, “Nemo’s fish-out-of-water plot was hatched back in 1992, when he visited Marine World in Vallejo, Calif. His feelings of protectiveness towards his own boy Ben inspired the father-son story” (Corliss). By looking at the views of Stanton, readers may see how he and other parents feel about the “letting go and getting back” policy. Even though parents may find the policy hard to follow, watching this movie can help relieve the hard way of stress by understanding the lesson of the movie. O’ Sullivan elucidates, “[Nemo’s]father is forced to enlist the aide of a beautiful stranger to decipher the only clue left at the crime scene, even while the pair narrowly averts such threats as a trio of predatory thugs foundering in a 12-step program” (O’ Sullivan). Through all of Marlin’s comical, action-packed, and nerve-racking encounters, he learns his lesson after gaining Nemo back, knowing when to hold means knowing when to let go. The spectacular animation is a huge hit in Finding Nemo. The almost impossible underwater animation requires many elements and hard work and Pixar has outdone it. The animation consists of “…glorious images that represent the ocean in varying degrees of darkness and light, stillness and turbulence, clarity and obscurity, and in ways that high light the myriad colors possessed by underwater life”(McCarthy). McCarthy describes the underwater animation with such beauty that how could one resist to see the hard work paid off. In addition, the underwater detail is the product of meticulous effort. Ansen proclaims, “High on the movie’s list of accomplishments is its creation of an undersea wonderland whose opalescent colors and shifting light reflect the enchanted aura of dreamy aquatic photography” (Ansen). The movie successfully sustains a watery ambience, which is not an easy thing to do given that water is semitransparent. With an unexpected beauty, Finding Nemo is able to portray decent use of color and form. According to Ebert, Finding Nemo is “…one of those rare movies where I [want] to sit in the front row and let the images wash out to the edges of my field of vision” (Ebert).This animation makes people feel like they are inside the movie. Also, for many people, they could have a second-viewing for the effects. A perfect cast comments the perfect movie. Dory needing an enthusiastic personality was matched with the perfect voice, Ellen DeGeneres. Ansen believes, “Ellen DeGeneres, hilarious and poignant, gives a tour de force reading” (Ansen). DeGeneres attracts a prodigious crowd to Finding Nemo. According to Holden, “Ms. DeGeneres infuses what could have been a one-note role with an irresistible enthusiasm and playfulness” (Holden). Without her reading, Dory would not have the same personality. Other characters are also very memorable. Michael O’ Sullivan observes, “Pixar’s attention to minute details of characterization—lobsters speak with New England accents, seagulls are mindless, yapping clones [fixate] on their next meal—pay off big time” (O’ Sullivan). These voices also bring in the full effect of the characters and movie, making the movie very comical. Finding Nemo’s fame is an outcome of an unforgettable theme, breathtaking animation, and a comical and perfect-fitting cast. The paradox of love theme can relate to all parents and future parents. Furthermore, the spectacular and detailed animation can warrant for a second viewing and make people feel in a state of reverie. Finally, the cast produces a stunning success. This film is outstanding connecting to each person in the audience. Finding Nemo is a success to Pixar films and one must not resist seeing it! Ansen, David. “Freeing Nemo: A Whale of a Tale.” Newsweek. Newsweek, Inc., 2 June 2003. Web. 12 January 2010. Corliss, Richard. “Hook, Line, and Thinker.” Time. Time Inc., 19 May 2003. Web. 12 January 2010. Ebert, Roger. “Finding Nemo.” Rogerebert.com. Rogerebert.com, 30 May 2003. Web. 14 January 2010. “Finding Nemo.” Internet Movie Database. IMDb.com, Inc. Web. 27 January 2010. Holden, Stephen. “Film Review: Vast Sea, Tiny Fish. Big Crisis.” The New York Times. The New York Times Company, 30 May 2003. Web. 13 January 2010. McCarthy, Todd. “Finding Nemo.” Variety. Reed Business Information, 26 May 2003. Web. 12 January 2010. O’ Sullivan, Michael. 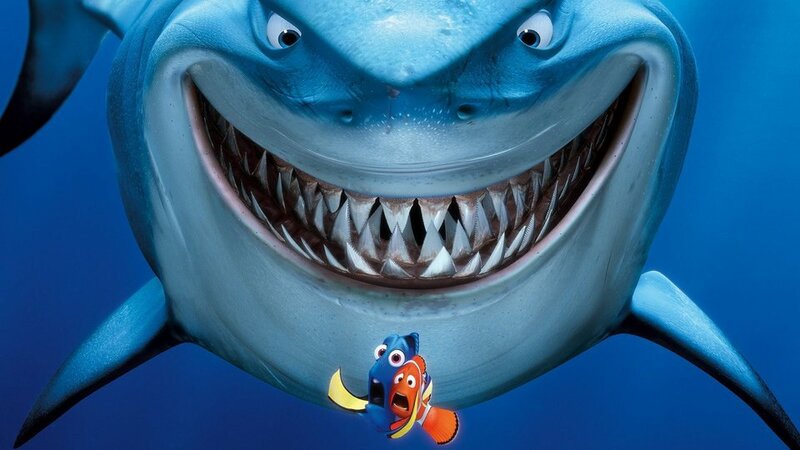 “‘Finding Nemo:’ This Fish Story is a Keeper.” The Washington Post. The Washington Post Company, 30 May 2003. Web. 13 January 2010.